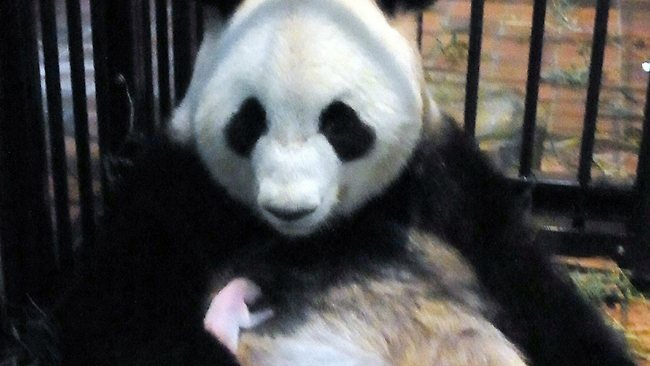 A baby panda born at a Tokyo zoo last week has died after inhaling its mother's milk, zookeepers have said. The male cub, which had not been named, was just six days old and was found lying on its back on its mother's chest. It was the first time the zoo's natural breeding programme had been successful, and the birth had been widely celebrated across Japan. The cub's parents, Shin Shin and Ri Ri, arrived on loan from China last year. Tokyo pays $1m (£640,000) a year to lease them. Seven-year-old Shin Shin gave birth just days after being declared pregnant. The arrival was the first in the zoo for more than 20 years.